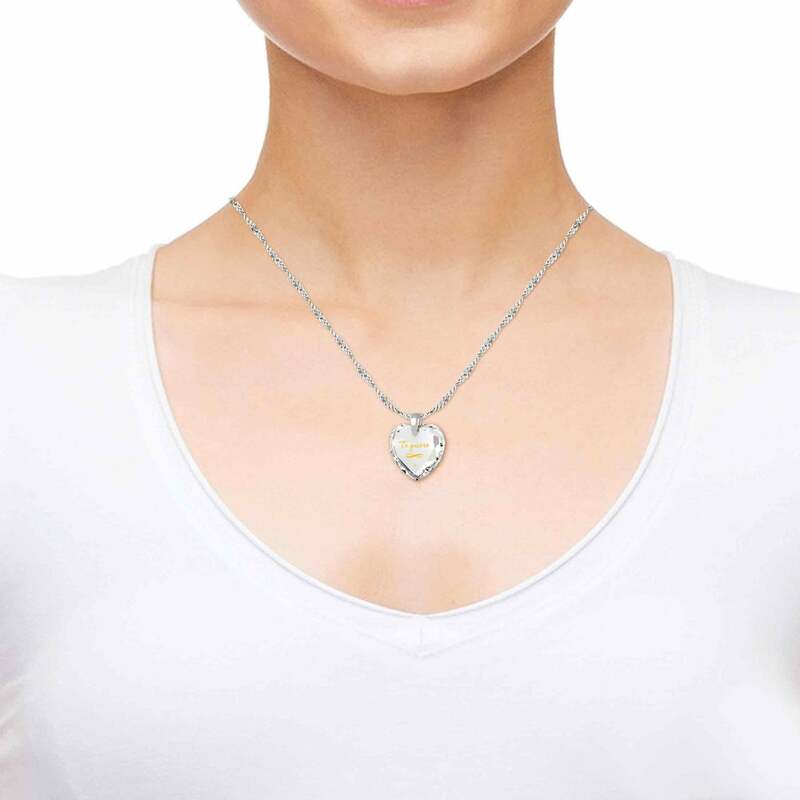 Infinity Necklace – Gift for Wife Birthday – Amaze Her Now! Even though no one knows what life may bring, the assurance that she has chosen to walk down its winding road beside you is enough to make any challenge bearable. Putting such elation into words is certainly not easy, so why not show her instead with a gift for wife birthday fraught with meaning? 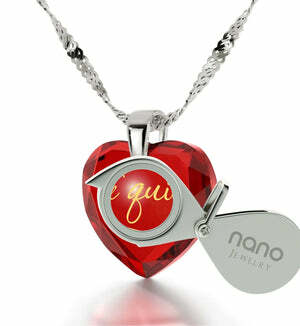 A small necklace with a loving message as indescribable as the universe itself sounds just like what you’re looking for! 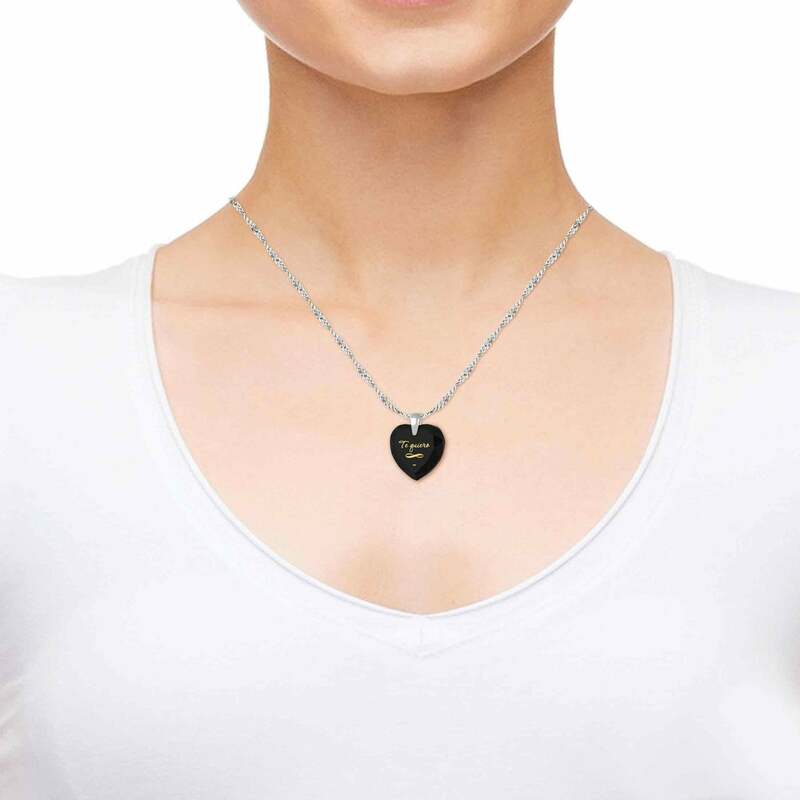 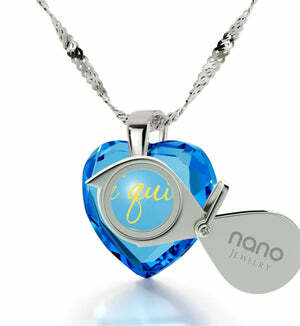 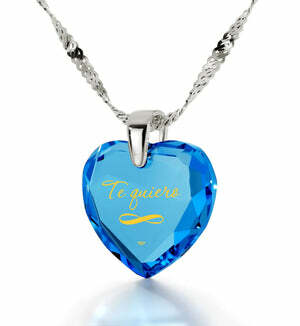 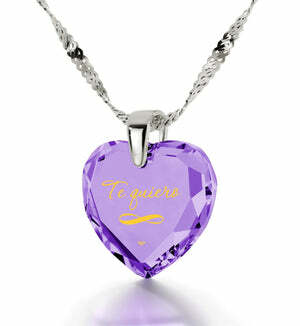 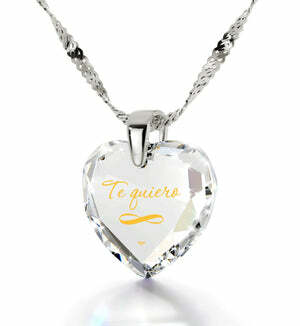 This womens white gold necklace has everything you’d expect from a versatile and romantic birthday idea for her. 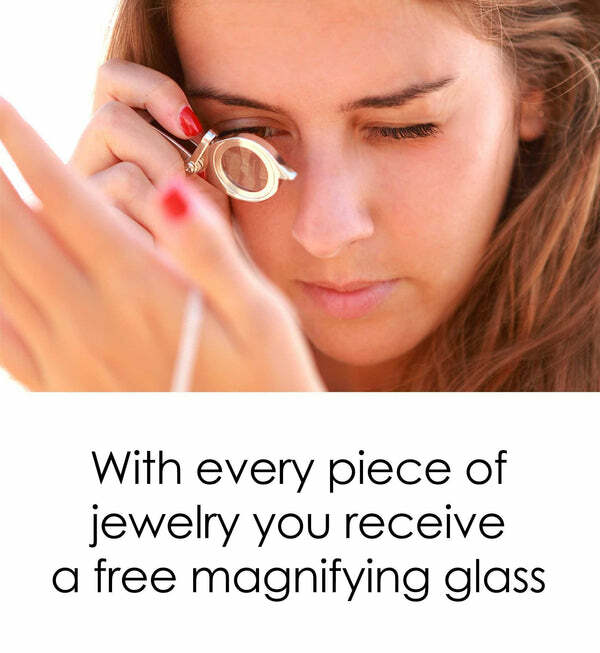 Its cute and elegant look is bound to strike up a conversation or two, but what will really get people talking, and perhaps cause a bit of envy among her friends, is the magnificent 24k pure golden inscription gracing the face of its heart-shaped cubic zirconia gemstone. 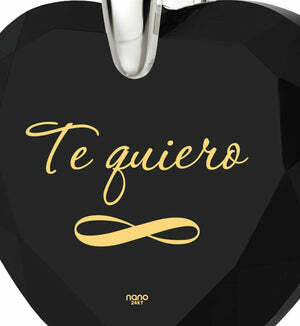 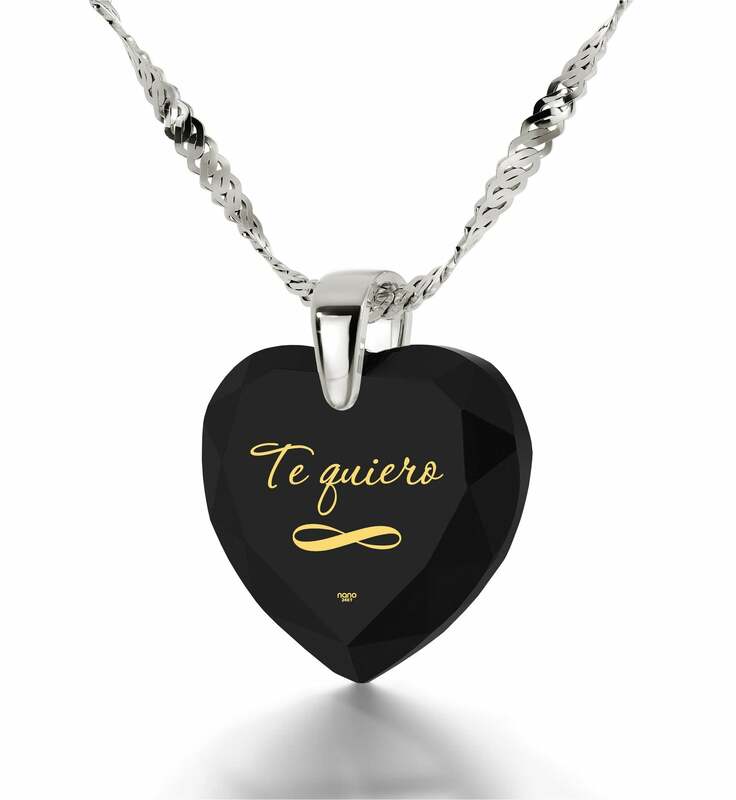 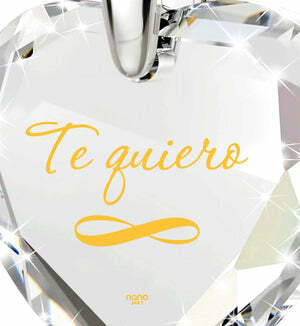 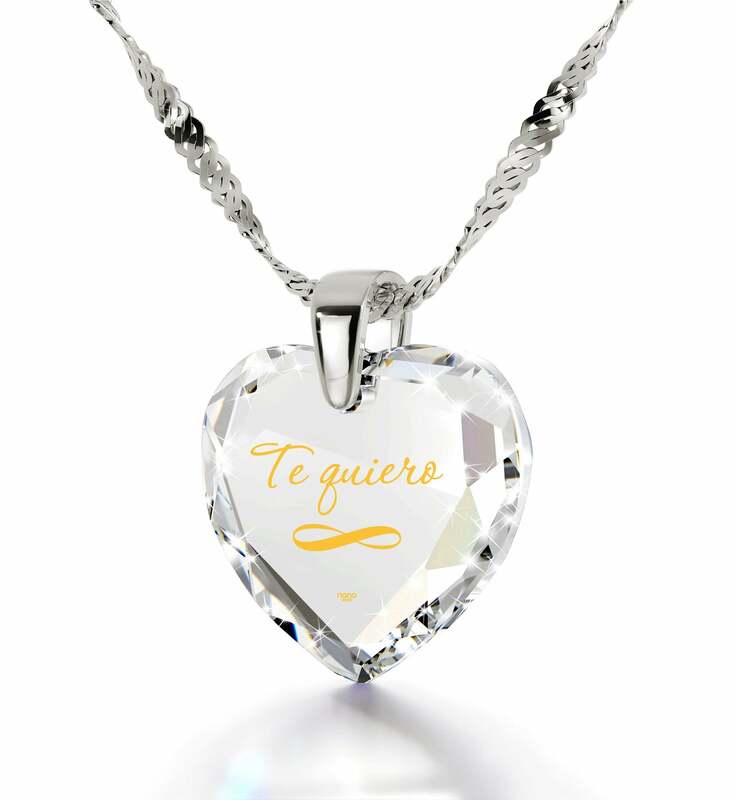 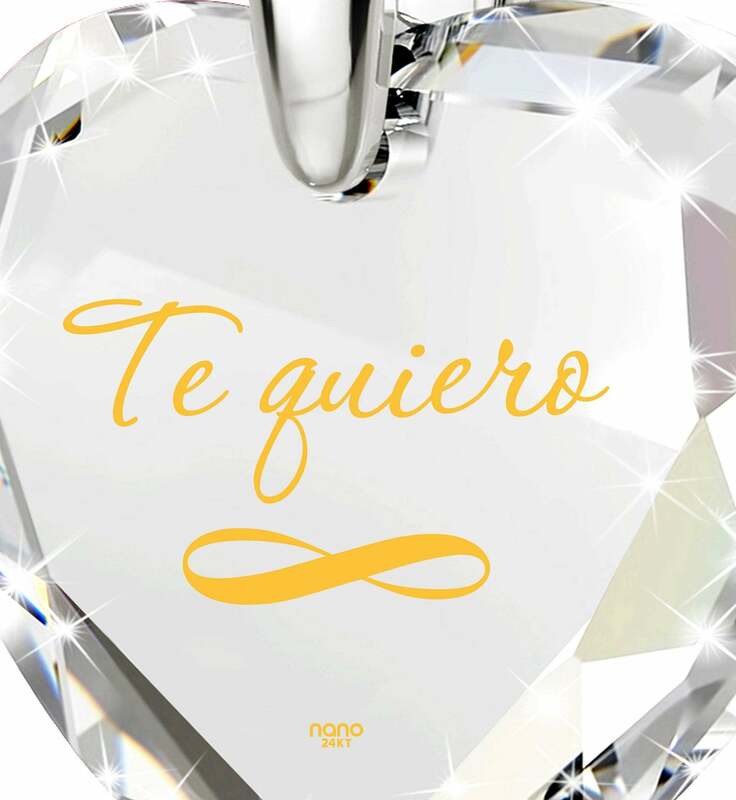 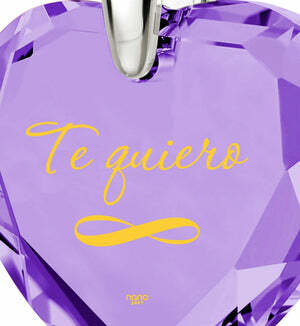 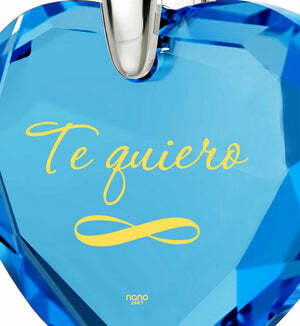 A petite infinity symbol has been inscribed onto it along with “I Love You” in Spanish. 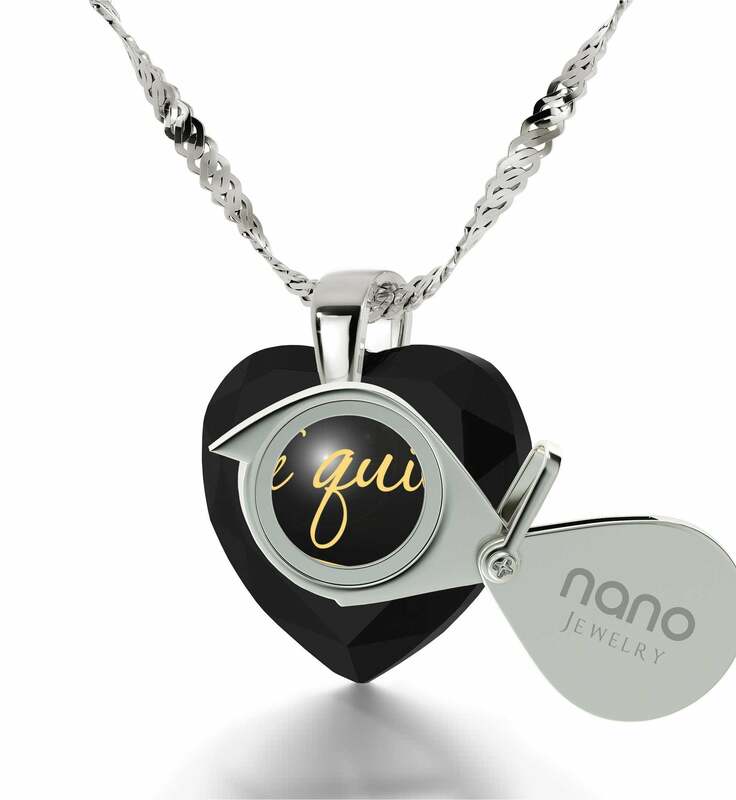 The way in which this was done allows for the golden images to last for an eternity and since it is known only to Nano Jewelry, she won’t find the equal to this beautiful necklace anywhere else. 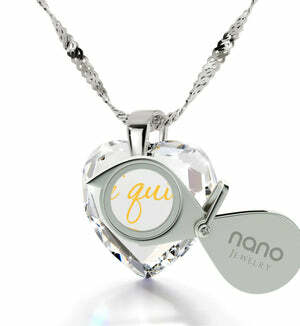 The best gifts for women’s birthdays also need great presentation. We’ve made sure that this one was no different by including a special magnifying glass for her care-free viewing pleasure, as well as a fun box to store everything in. All that remains is to throw her a wonderful party and you’ve got this year’s birthday more than covered.